Sophia Maizel joined HarbourVest in 2015 to help expand the Firm’s local presence in Canada. She focuses on sourcing, reviewing, executing, monitoring, and reporting on direct co-investments and partnerships, primarily in the Canadian market. Sophia has been involved with several of the Firm’s direct co-investments, including Q4 Inc, Sonder, and Wave Financial and several partnerships including those managed by Avrio Capital, Genesys Ventures, Georgian Partners, Golden Ventures, Information Venture Partners, iNovia Investments, McRock Capital, Novacap Investments, Real Ventures, Vanedge Capital, and Versant Ventures. She also serves on the Young Professionals’ Committee of the Canadian Venture Capital Association. 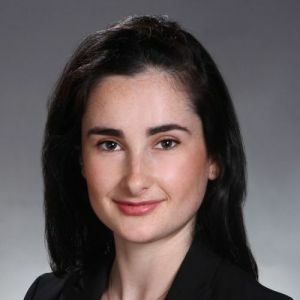 Sophia joined the Firm from Export Development Canada, where she was an associate focused on the evaluation, execution, and monitoring of direct and private equity fund investments. Sophia received a BA in Economics and Finance from McGill University in 2012. In early 2017, she received the Chartered Financial Analyst designation. She speaks fluent Russian and French.